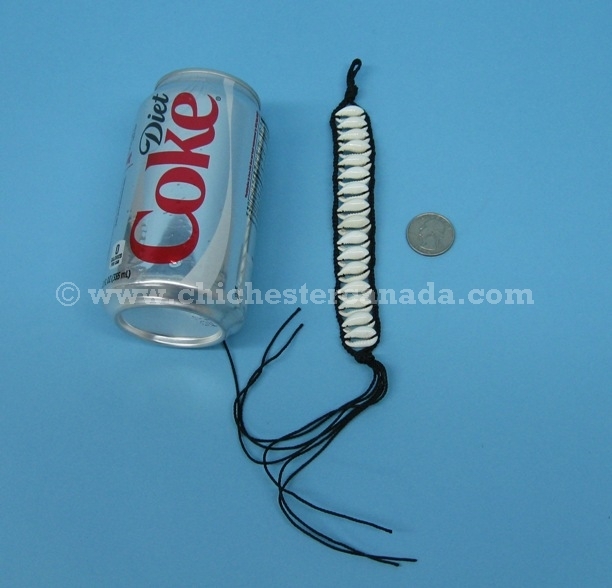 See a size comparison with a soda can and quarter. 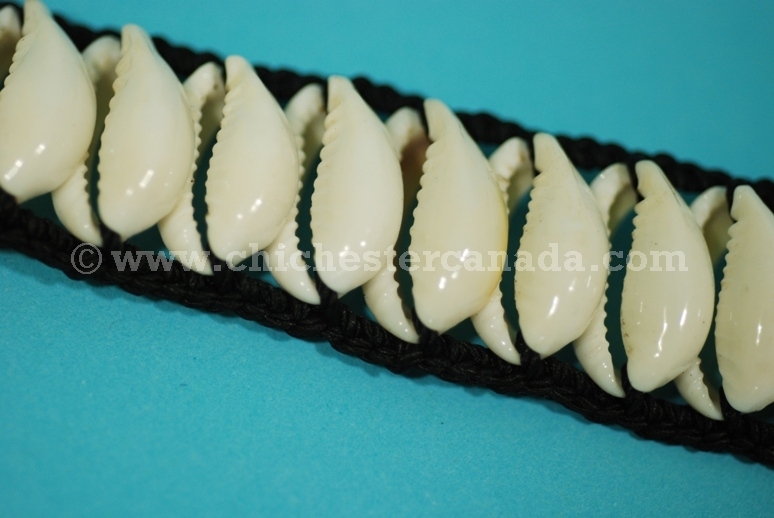 See a close up of the shells and an untied bracelet. 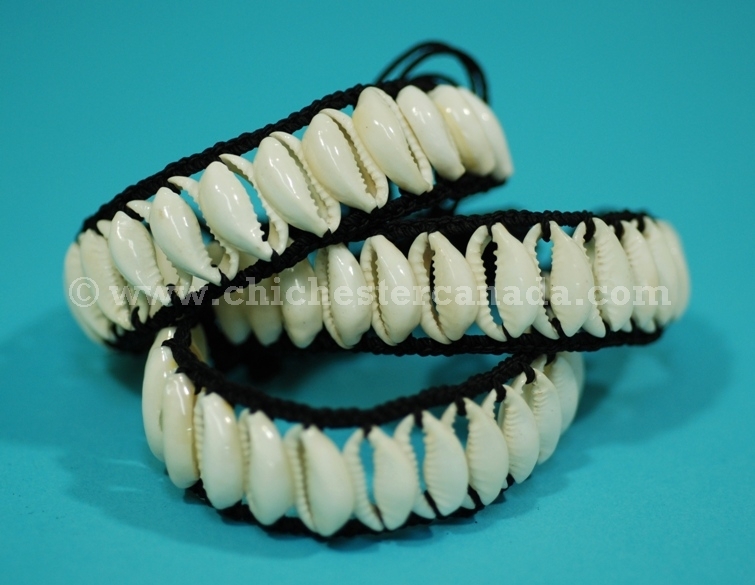 These bracelets are made from Cowrie Shells and measure 18 cm long (33 cm long including braided end) and 4.5 cm wide. Each bracelet weighs about 85 grams. Genus and species: Cypraea annulus. Wild.